The group 10,000 Problemes was started in 1995 by the initiative of Pape SENE aka Sidy Diop. He has been a part of the Saint Louisian rap scene for a considerable amount of time and given hundreds of concerts. 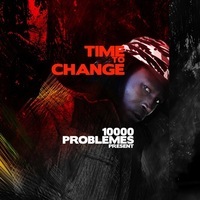 10,000 Problemes debut album, Time to Change will be released in late 2013. In 2012, I founded Rapandar Productions in CA, USA. We are partnering with 10,000 Problèmes to invite Africans musicians to the US to participate in an international festival called the “Festival of African Roots” scheduled for July 2015. Our concept is to emphasize the richness of African culture through Africans themselves. The goal is to bring down biases and give youth a sense of responsibility while ensuring a more tolerant and open society for future generations. - 10+ years experience in international music event production, promotion and fundraising. - Experienced leader of non-profit organizations pursuing social change for the betterment of the disenfranchised youth of West Africa.